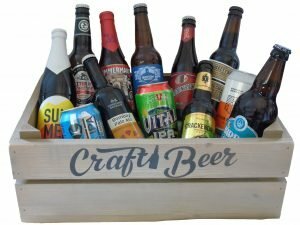 Can Vs Bottle – Which is best for Craft Beer? Let battle commence. You Decide. The age old argument has raged since beer was first transported. What is better to receive your beer in? Cask or Keg? Handle or Straight glass? Can or Bottle. Is it just snobbery or is there any real difference? There is one thing that can not be denied and that is change is constant. What was acceptable twenty years ago is frowned upon today, and what is acceptable today will be frowned upon in twenty years time. So what about cans and bottle for beer. For so long we have seen mass produced beer being shipped out in cans. The image of a can of beer has taken a battering over the years. The lager lout of the 80’s and 90’s was always stereo typically impersonated with a can in his hand. The football hooligan was often pictured before a riot with a can of super strength lager being clutched like their last breath in their hand. So is it justified to continue this stigma into modern day? Should we not bury the hatchet and embrace the can with open arms? A large percentage of Craft Beer drinkers don’t think so. 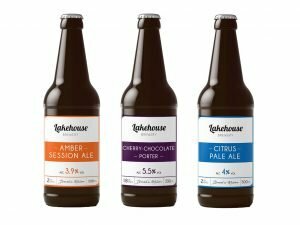 There is still a strong belief that Craft Beer should still be given the privilege to be served from a bottle. That said, cans are a compact and easy to store. They can be stacked easily in the fridge and offer a much better ergonomic design, over a bottle and its long neck. Can art has also taken off with some brewers using artists with wild imaginations to decorate their vessels with amazing ideas and emblems. So where did the change originate from? It wasn’t so long ago that all wine was corked, with real cork. It was unheard of that wine should not be corked. But then suddenly plastic corks made an appearance and everyone took a gasp. Then one day a screw top made its way onto a bottle of wine and the world was more split than the Brexit vote. A screw top? Who had ever heard of such a ridiculous thing. Wine could not be served with a screw top? The wine connoisseurs were up in arms, the world of wine would never be the same again! To this day its a great conversation starter to suggest wine should have a screw top. Try it, it will send the conversation into a spin as you pull the pin on the conversation grenade. Should We Save the Planet? We are reminded on a daily basis that our carbon footprint is the latest buzz word for saving the planet. So why would a can over a bottle change the planet. To quote a leading expert from the recycling industry. The energy taken to transport bottles over cans is huge due to the weight difference as bottles are much heavier to transport than a can. It all adds up to the fact that cans are much more environmentally friendly. They are lighter, easier and more energy efficient to recycle. Plus they prevent the light from reaching your beloved beer. It would appear for those wishing to think of the planet, the can is far more green. When it comes to transportation and logistics, the glass bottle cant be beaten. A can is too delicate, it dents easily and is ruptured with equal ease. So when you are shipping a valuable contents half way round the world you don’t want half your goods to arrive damaged at the other end. There also those that say cans taint the taste of beer over time (which is a separate discussion for another blog). Plus some people still hold a love for a bottle and not a can. It is a division that is likely to be around for some time to come. Its fair to say that you will make your own choice on this subject. Bottle or Can?